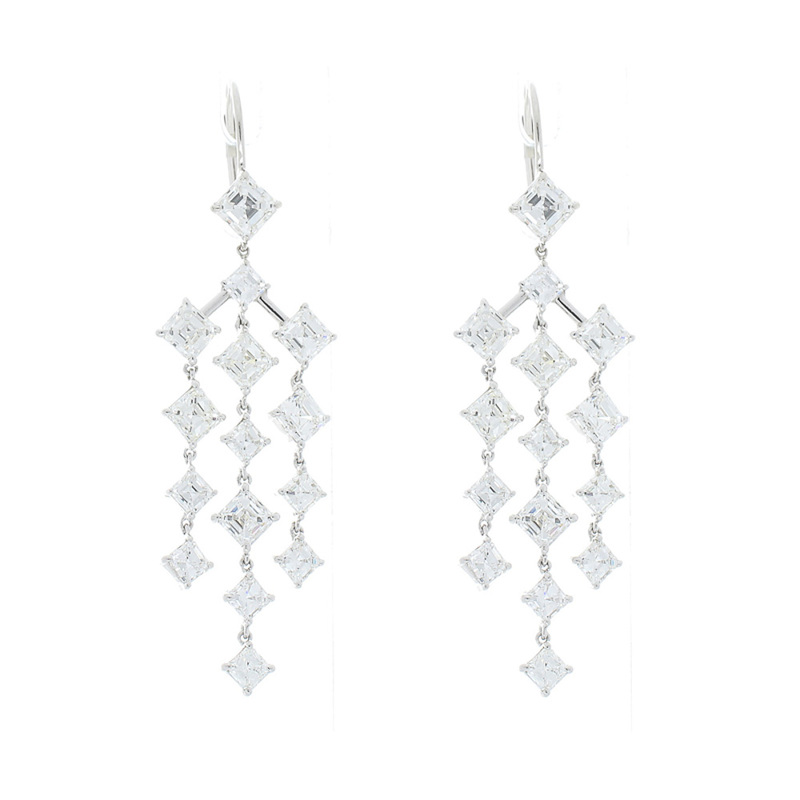 Nothing says elegance like a shimmering pair of chandelier earrings with exceptional movement! Dripping with diamonds in the most stunning way possible, these exquisite handcrafted designer earrings are the perfect earrings to be worn with your hair down or up. Skillfully handmade in 18 karat white gold, these earrings feature EF color and VVS clarity Asscher-cut diamonds and boast an astounding 6.85 carat total weight. These diamonds are perfectly matched and calibrated as well as investment quality.